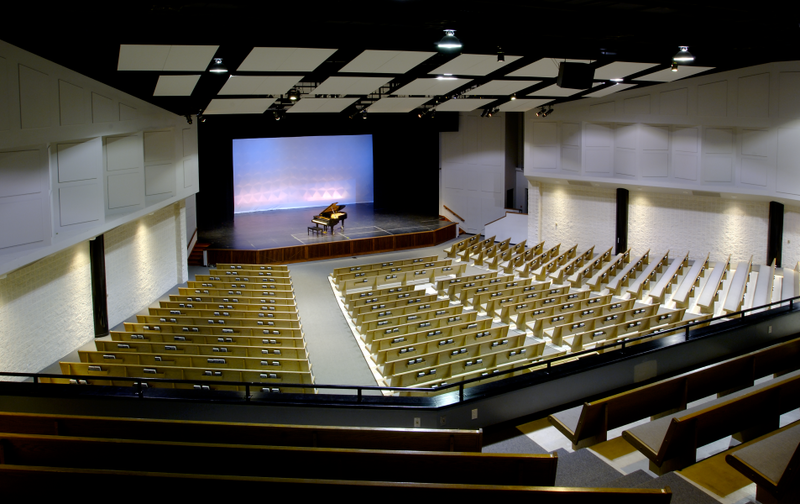 The Fine Arts Center at Lancaster Mennonite School was designed to provide greater capacity for the school's growing student body and to meet a need for improved fine arts facilities. Constructed of steel masonry, glass and EFIS, the center is a 36,000-square-foot, one- and two-story building that connects to the school's education building by an 82-foot long enclosed skywalk. The chapel/auditorium is used by both the students and the entire community for performances and religious services. The center seats 1,000 people on the lower level and 500 in the balcony. A stage and auxiliary spaces, as well as dressing room, set-building and storage areas, accommodate the school's theatrical needs. The music and art department consist of rehearsal rooms, offices, studios, a kiln room, dark rooms and storage. To assure good acoustical quality, the design team included an acoustical consultant.